edit 7/1/16 : Since my end of contract with TPC2015 about keeping this much more polished version a secret is now due. So here it is a version that meant to be a reward poster during the Con. Nice job, dood! For some reason, this is reminding me of Metal Gear Rising. This has got to be one of the most badass pics of RD I've ever seen. This version would undoubtedly beat up Starscream!! Oh - my - gawd! This is - so .- totally - awesome!! Really. I love it! 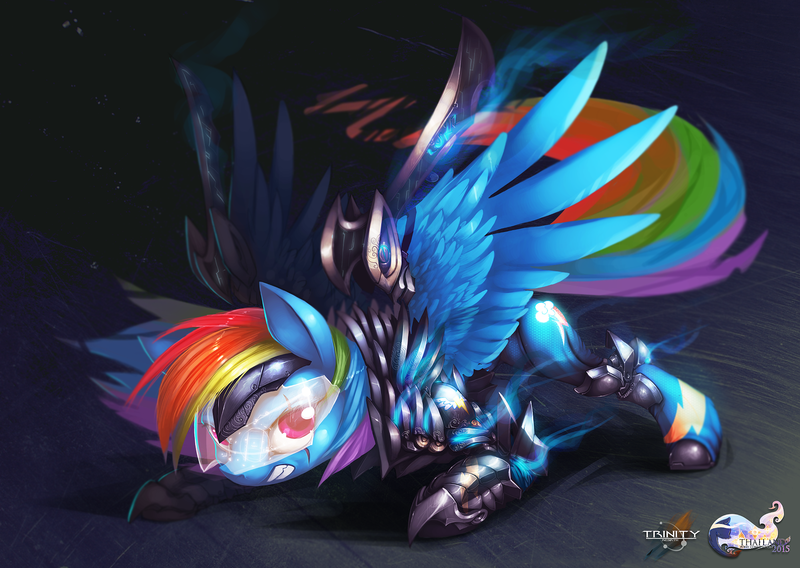 Probably the best piece of MLP art I've ever seen! What does the Thailand logo say? Is this inspired by the mlp finale of the crystal war? In any case, great work! She looks badass. The first version was super awesome already .. but this one now beats it again. Oh my gosh!